Discover delicious recipes for gathering family and friends around your table. 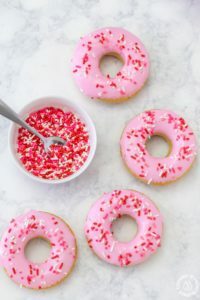 There is no need to feel guilty when you can treat your sweetheart to these easy Valentine Baked Vanilla Donuts. 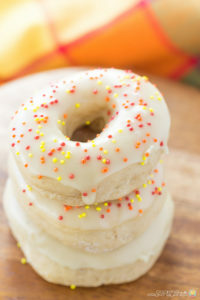 These light and airy donuts are made festive with a tinted pink vanilla frosting and decked out with fun sprinkles! 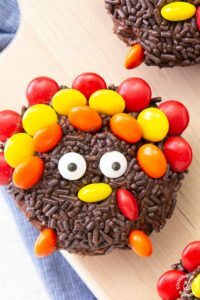 These semi-homemade Mini Turkey Donuts are so easy to make and even the kids can help! They will have a blast creating their own version. 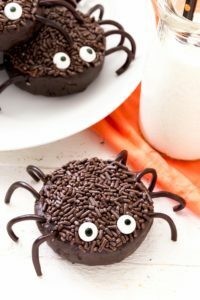 These Mini Chocolate Spider Donuts are sure to be a hit this Halloween! They are super easy to make with only five ingredients! 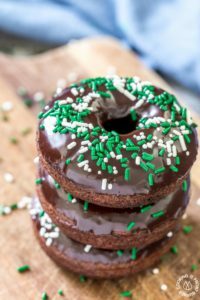 These chocolate Irish Cream Glazed Donuts are baked – not fried – and have a thick layer of chocolate ganache and festive sprinkles. They are so easy to make and are perfect for breakfast for a sweet treat! 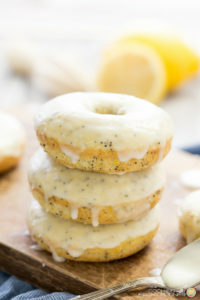 Lemon poppy seed baked donuts are just a nice treat to satisfy your sweet tooth without too many calories. Baked donuts are perfect for a weekend brunch or an afternoon snack with coffee or tea. 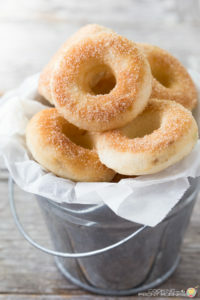 Just like the fair but only healthier, these Cinnamon Sugar Mini Donuts are easy to make, light and fluffy! 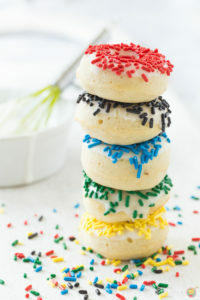 These festive Mini Olympic Baked Donuts would be great to snack on while watching your favorite team! 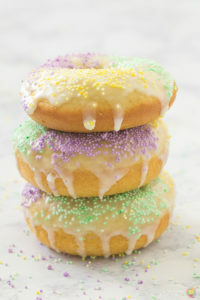 These King Cake Donuts are perfect for Mardi Gras with a light glaze and fun sprinkles! They are baked and not fried which makes them so easy to make. 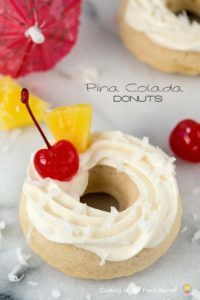 Have a taste of the tropics with these Pina Colada Donuts!